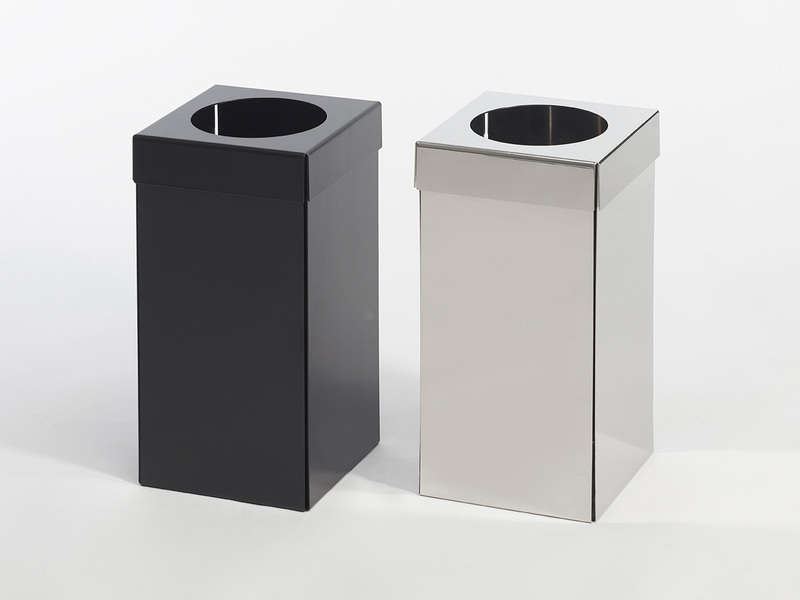 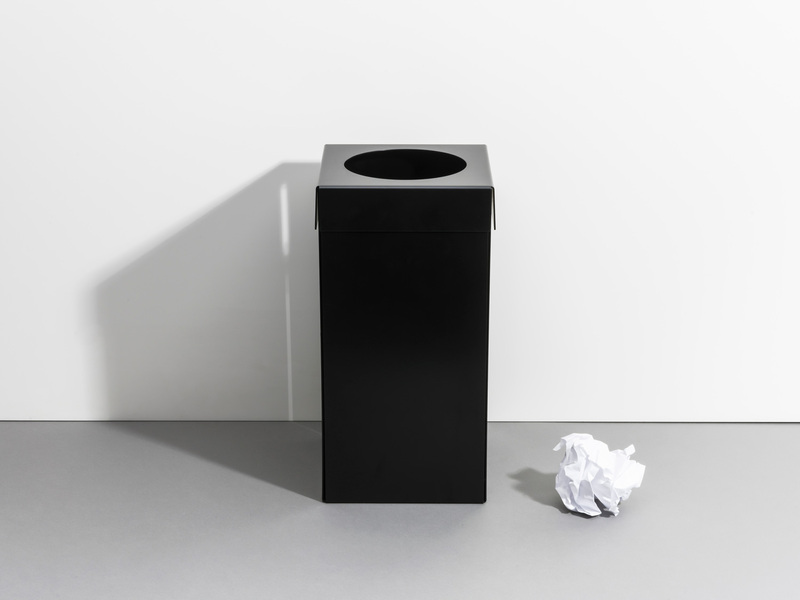 Bin is a wastepaper basket built from two parts of moulded metal. 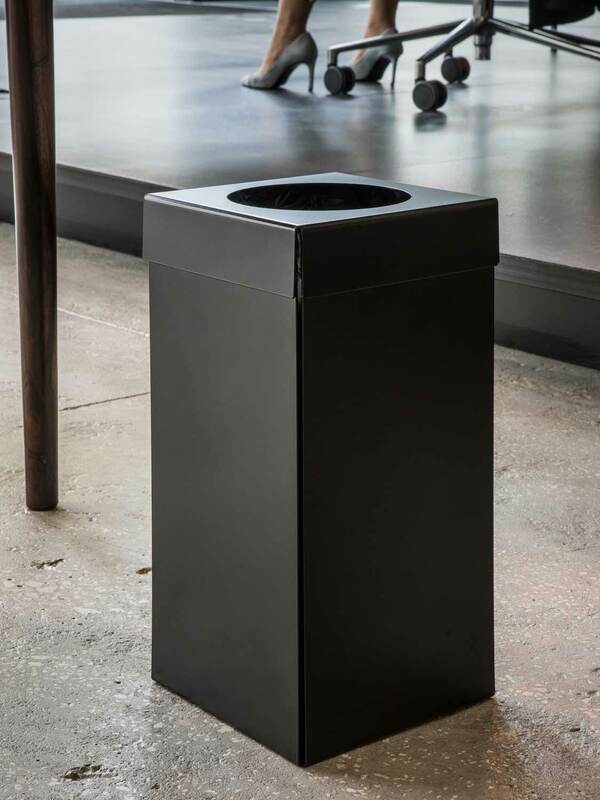 Its simple and clean design allows it to blend unobtrusively into a home or office space. 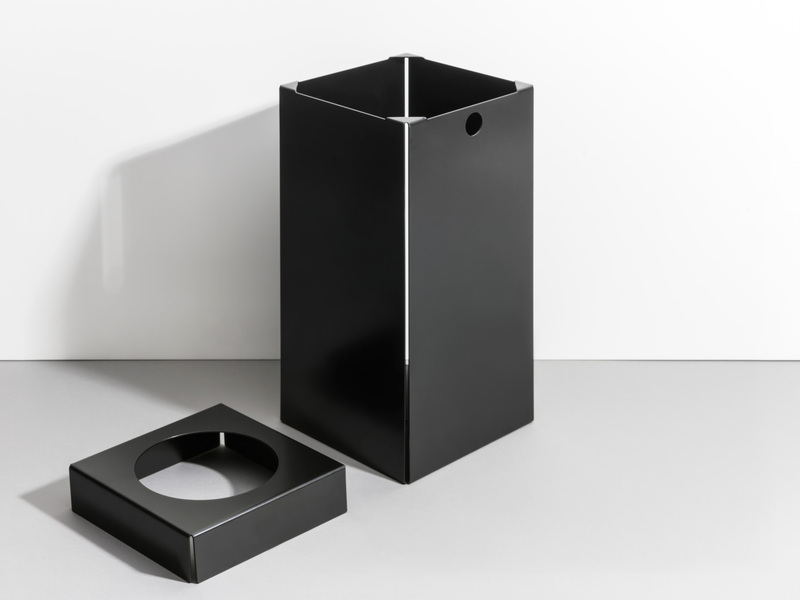 It comes in a black or mirrored finish.